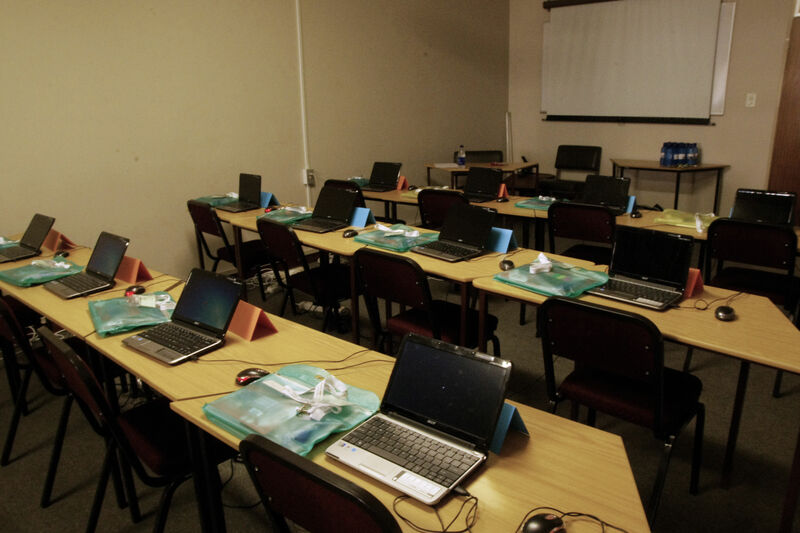 From March 2015, the many small towns and villages sprinkled across the picturesque rural landscape of the Nkangala district in Mpumalanga will soon be the backdrop to an innovative technology experiment that will turn 14 micro entrepreneurs into mobile cinema operators. Funded by the Department of Science and Technology and the European Commission, this consortium driven project called MOSAIC 2B hinges on the creation of new technologies and the development of a robust and user friendly ‘Cinema-in-a-backpack’. The overall project management is in the hands of the company GraphicsMedia.net from Kaiserslautern Germany. The Cinema-in-a-backpack is a mobile, easy to use product incorporating a projector, speakers, a battery and a tablet, which enables micro entrepreneurs to project films, becoming part of their business offering to local communities in far-flung villages. The MOSAIC 2B project aims to test an alternative and lower cost distribution channel for multi-media content that will offer a secure and viable method for reaching and connecting areas with poor or absent infrastructure. In addition to the development of these technologies, a further goal of this project is to respond to two specific challenges in the SA market. Firstly, the inaccessibility of cinemas in rural areas, and secondly the challenges experienced by entrepreneurs to run sustainable businesses. 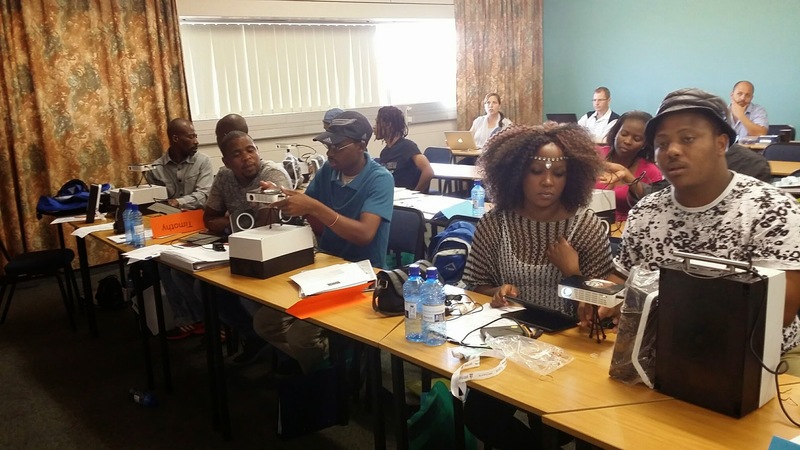 For that reason, a concept of a micro-franchise model for the ‘Cinema-in-a-backpack’ has been developed that exploits the advantage of the DTN technology to spur entrepreneurial activities in rural areas through this offering that is underpinned by training conducted by the University of Pretoria. The technology developed during the initial phases of the MOSAIC 2B project, which commenced in October 2013, includes the development of a cost effective delay tolerant network (DTN) through which content is sent to the cinema operators using public busses, in this case PUTCO busses, carrying so-called infostations to bus depots in rural areas. 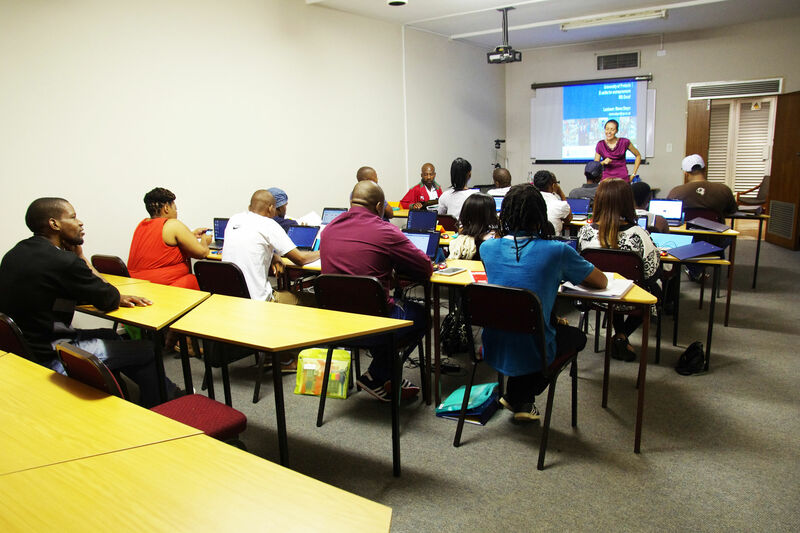 To receive the content the micro entrepreneurs visit their local PUTCO bus depots with their ‘Cinema-in-a-backpack’ at which point the MOSAIC 2B application contained in the tablet connects to the so-called infostations via Wi-Fi and the multimedia content is downloaded. Moreover, this business application, developed by EPI-USE, allows the micro entrepreneur to order, pay for and download the content of their choice and plan and document their screening events (capturing information such as number of audience members, ticket price, other business services offered and more). Lastly, the information collected via the business application is packaged using visual analytics, developed by Centro de Computação Gráfica in Portugal, offering the micro entrepreneurs business intelligence to assist them to optimise their cinema business. Many of the micro entrepreneurs selected to join the project as cinema operators have expressed their enthusiasm for this opportunity, both as individuals building businesses and as community members recognizing that the need for affordable local entertainment. The field experiment is planned and run by Infusion who will be responsible for collecting the data to optimize the learnings over the next 6 months. MOSAIC 2B is executed by a consortium of 6 partners – 3 from South Africa and 3 based in Europe – and will end in September 2015 after 2 years. This project has received funding from the European Union’s Seventh Programme for reserarch, technological development and demonstration under grant agreement no. 611796, as well as from the Department of Science and Technology South Africa under financial assistance agreement DST/CON 0227-229/2013. During the Net Futures 2015 conference the consortium will present the developed components of the MOSAIC 2B framework that will be deployed and used in the field experiment, starting at the beginning of March 2015. In a live demonstration the project will showcase the delay tolerant network (DTN) based content distribution and its components, i.e., the mobile and fixed infostations. The demo will explain and illustrate the operating principles of this technology and its implementation in the context of the MOSAIC 2B project, e.g., the utilization of the buses serving as transportation means for the mobile infostations. In addition, the project will demonstrate the cinema-in-a-backpack solution. It consists of a tablet, projector, speakers, and a power supply unit. The power supply unit has been introduced to guarantee screening activities in the event of power loss or missing power supply. The Android application developed and installed on the tablet will enable the mobile business services for the micro-entrepreneur such as: scheduling screening events, ordering of and paying for multimedia content, screening, and performing business analysis. MOSAIC 2B provides a low cost mechanism to deliver multimedia content to micro-entrepreneurs located in rural areas of South Africa. Implementing delay tolerant network facilitates to transfer large volume of multimedia data, in areas with limited IT infrastructure. Using this content and equipped with a cinema-in-a-backpack a micro-entrepreneur will be enabled to run a business, which enables the screening of multimedia content in rural communities. The developed framework utilises mobile technologies and low-cost ad hoc networks based on opportunistic communication to support the micro-entrepreneurs and to enhance the sustainability of their micro-enterprises. The ad hoc network relies on the existing network of public transportation buses. Essential components of the network are the mobile and fixed infostations. The fixed infostation serves as the entry point to the DTN and will be installed in Pretoria, South Africa. Utilising the standard Internet connection, the multimedia content ordered by the micro-entrepreneurs will be downloaded from the central MOSAIC 2B server to the fixed infostation and forwarded to the mobile infostations. The latter ones will be installed in the buses serving the rural communities located in Moloto, Vlaklaagte and Kwagafontein in South Africa. There, any micro-entrepreneur can download the ordered multimedia content using their cinema-in-a-backpack. Starting at the beginning of March 2015 MOSAIC 2B will evaluate the progress of the entrepreneurs’ cinemas over an experimental-period of six months, collecting field data on the emergence of marketing and product strategies.